No genius should go undiscovered! 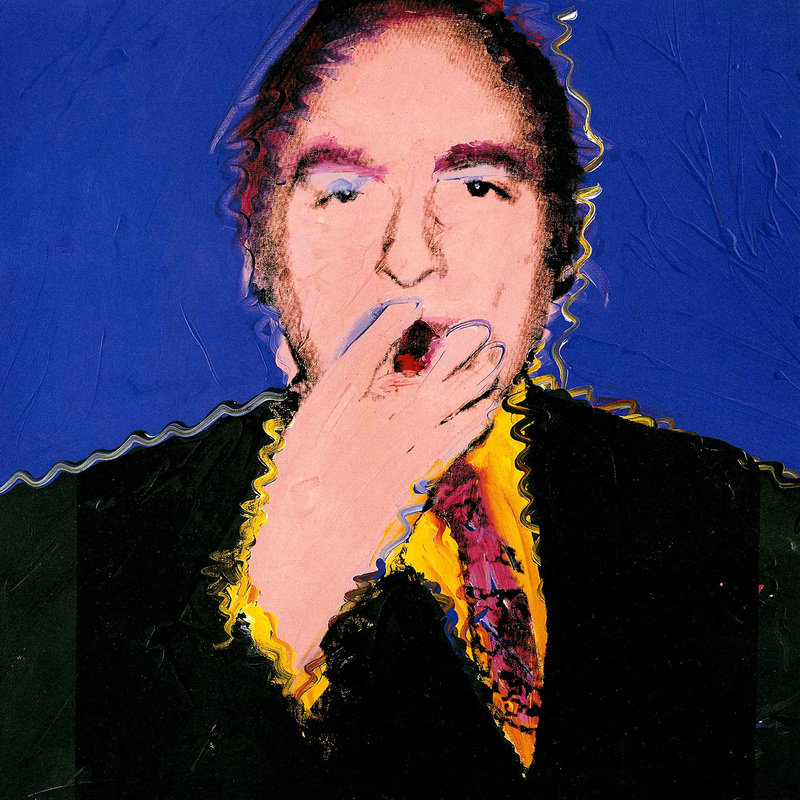 Ivan Karp, the art dealer who died last month, is the kind of salesperson who makes culture happen. He was the rambunctious, Brooklyn-born foil to the smooth Leo Castelli, whom he worked with for many years. I wrote about Castelli in The Art of the Sale. Karp was similarly consumed by the desire to find artistic geniuses and spread the word of their greatness. Van Gogh may have died unknown and unappreciated. But Karp, according to his obituary in The New York Times, made it his mission to avoid such tragic waste. “No genius should go undiscovered,” he said. Long after he had helped the launch and nurture the careers of Warhol, Lichtenstein and Rauschenberg, he remained diligent about looking at every submission, every slide and drawing sent in by an artist seeking representation, terrified another genius would pass unseen in the slush pile. He didn’t languish behind a desk, but scoured the city for interesting artists and their work. Like many of the greatest salespeople, he wasn’t just into art for the money. He loved it, whether it was valuable or not. He collected everything from washboards to misspelled restaurant menus. A particular passion was driving round New York in an old jeep salvaging architectural curiosities, such as gargoyles and cornices, from demolished buildings. Salespeople are often urged to stick to a strict routine of behaviors. Karp thrived as an original. 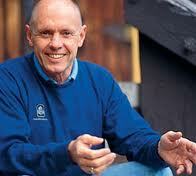 Before writing The Art of the Sale, I’d never much cared for Stephen Covey. I found his Seven Habits series preachy, obvious and bland. It was the same reaction I had to two other monstrous bestselling authors of the 20th century, Dale Carnegie and Norman Vincent Peale. All three took the techniques and story-telling of the pulpit, lowered the dial on the Christianity to broaden their appeal, and prescribed a universal set of effective habits. Meeting salespeople, though, changed my view. The techniques of selling, from prospecting to closing and maintaining relationships, are the easy part. The hard part is remaining emotionally and psychologically whole. Being creative and persuasive in a sale is difficult enough. But selling so you can do it again and again requires remarkable degrees of intelligence, resilience and emotional strength. The most important predictor of sales success I found was role perception, the degree to which people understood and felt comfortable with how and what they sold. If their lives and work were consistent, they thrived. If not, they failed. Covey applied the Seven Habits to his own life, his business, his Mormon faith and his family. The same applies to selling. If how you sell is who you are, you will succeed. If not, you’ll fail. To achieve this goal of work-life consistency, it helps to have a platform, a set of unbreakable habits. For these to work, these must be simple and sturdy. They don’t buckle under pressure or yield to a change in strategy. They are there for you when the waters start to churn. And if you have been disciplined about introducing them into your life, they do their job without you having to think about them. When I asked Peter Handal, the CEO of the Dale Carnegie Corporation, why Carnegie’s simple messages still formed the basis of a thriving teaching and publishing business, he told me: “They’re common sense, but not common practice.” I discovered later this was exactly how Covey explained his own popularity. You’d think everyone would just know this stuff, if their parents drummed it into them. But we forget it so easily. Or we can’t be bothered. Later this evolved into his theory of organizations: “We believe that organizational behavior is individual behavior collectivized,” How many organizational experts forget this basic insight, that organizations are merely collections of individuals? Forget the individual, and your organizational theory is bunk. This is a surprising rarity among the self-consciously giddy ranks of business thinkers. 7. Sharpen the saw; that is, undergo frequent self-renewal. How to win the Tour de France – and anything else. In 2010, Dave Brailsford, the performance director of British Cycling, and general manager of Team Sky set out a simple goal: a clean British winner of the Tour de France within five years. No Briton had ever won the Tour de France. Let alone, won it cleanly. On Sunday, Brailsford achieved his goal three years ahead of schedule. Riding for Team Sky, the British dominated the Tour. 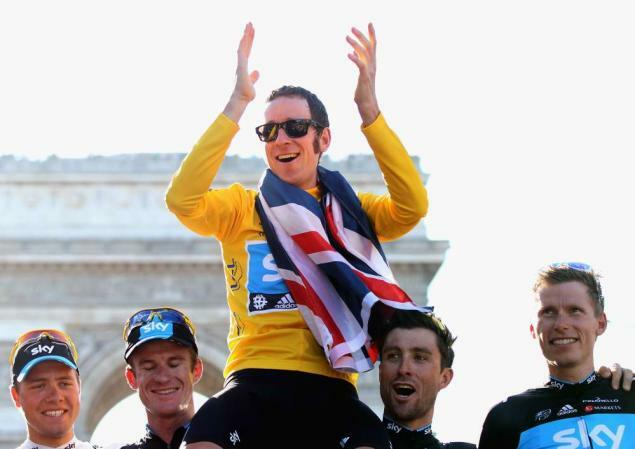 Bradley Wiggins won the overall race, Chris Froome came second, and Mark Cavendish won the final stage in Paris. Next stop for Brailsford and Britain’s cyclists is the Olympic Games. At Beijing in 2008, they won eight golds. Brailsford holds both a degree in civil engineering and and MBA from the University of Sheffield. His path to victory is a case study in long-term preparation and ruthless execution. It can be broken down into five key elements. Everything can be done better. Don’t let numbers govern everything – balance statistics with informed observation. Hire the right people and give them space. Change takes forever – until it happens overnight. Hate to lose and expect to win. 1. Everything can be done better. Brailsford applied a system he calls the “aggregation of marginal gains”. “Staff was scheduled to go first in the event. When he started, his time stood between 17.4 and 17.5 seconds for one lap. He knew the world record was 17.3 seconds. His set his goal at 17.0 seconds and worked out the percentage he needed to improve; by his calculations, 2.78 percent. Staff then examined every factor that influenced performance, dozens in total, and set about to improve each by 2.78 percent. In the gym, he wanted to top his personal best in the squat (530 pounds) by 2.78 percent. He wanted to lose 2.78 percent of his body fat. Other factors included tire tread, wheel design, bike-frame design, skin suits and helmets, along with his diet and his body position on the bike. By 2008, Staff’s thighs were so thick his wife’s skirts fit snug around one of them. He wore a watch with a sensor that measured movement (or, hopefully, lack of it) when he slept. He worked with nutritionists, psychologists and sprint coaches. He trained in a wind tunnel. He tested recovery drinks developed specifically for cyclists through a company called Science in Sport (chocolate, initially the worst flavor, became his favorite). 2. Don’t let numbers govern everything – balance statistics with informed observation. Brailsford was deeply impressed by the account of Billy Beane’s management of the Oakland Athletics in Michael Lewis’ Moneyball, and tried to apply the same numbers driven approach to cycling. He’s known as a numbers geek, but he balances that with close observation by true experts. “People think we’re all numbers here. We’re not. Shane Sutton [the team coach] is the least ‘numbers’ person you’ll get. He will work with a rider and he’ll see something that we can’t see. He’ll spot something and we’ll go and have a proper look at it and he’ll be right. It’s as if he’s watching colour television and we’re watching black and white. He doesn’t get that from numbers. 3. Hire the right people and give them space. “Guys who take responsibility. Guys who will talk about ideas and they’ll put their spin on it and come back with something of their own. I like that. People who don’t need their hands holding. People who aren’t scared to speak the truth. People who don’t want to go with conventional wisdom all the time. People who are open, honest, people who have passion. Having incredible athletes to manage also helps. A wonderful documentary about Wiggins was broadcast on ITV this week. 4. Change takes forever – until it happens overnight. The transformation of British cycling from also-ran to powerhouse took 20 years. It is a story of numerous small wins building up into bigger ones over time. It began in 1992 when Chris Boardman won gold in the individual pursuit at the Barcelona Olympics. It was Britain’s first cycling gold in 72 years. In 1994, Britain opened its first indoor velodrome in Manchester, as part of bid for 2000 Olympics. This coincided with a deluge of government money from the National Lottery funds into sports. An ambitious plan called World Class was put together to focus Britain’s cycling efforts on track cycling, where there was less competition than road racing, and the opportunity of more medals. 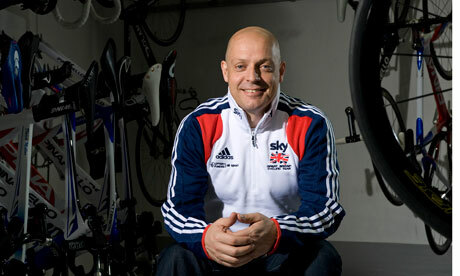 In 2003, Dave Brailsford arrived and promptly spent millions on new helmets, lycra skin suits and bike technology. In 2007, the Tour de France hosted its first stage in Britain. It is a spectacular success. In 2008, Britain won 7 of 10 events and 12 medals in track cycling at the Beijing Olympics. The emerging Bradley Wiggins won gold in the 4000 meter individual pursuit. 5. Hate to lose and expect to win.